A 112-year-old Mototri Contal three-wheeler is set to take on the 2019 Peking to Paris, aiming to finish a 13,840 km journey it started in 1907. 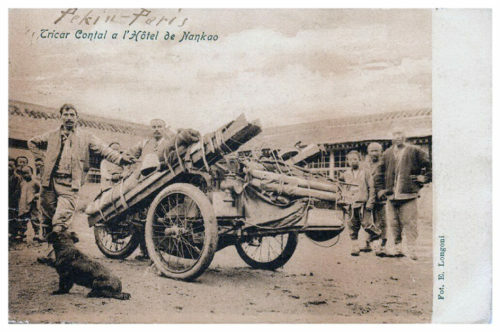 The first Peking to Paris (P2P) ran in 1907, five competitors accepting a seemingly impossible challenge. Amongst them was a French three-wheeled Mototri Contal piloted by an ambitious duo, Frenchman Auguste Pons and Oscar Foucauld. A story of struggles and triumphs eventually saw them, and their three-wheeler, stranded in the Gobi Desert. The story ended with the crew attempting to walk back to Peking, almost losing their lives in the process. 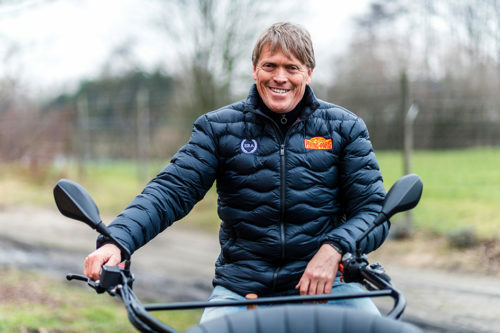 On the contrary, Anton Gonnissen is an accomplished modern-day adventurer who has finished three Dakars, four Rallies of Egypt, and one UAE desert rally variously in car, truck and on a quadbike. He is taking this bold venture very seriously and intends to make the impossible journey possible, using all his experience from his previous adventures. Gonnissen eventually found one of the very few Mototri Contal’s left in the world together with its original manual and went about making the necessary study of the antique machine following a structural test by Ghent University. Some improvements have been made to the chassis, wheels and engine, although, as with the original Mototri Contal, there is no rear suspension together with the 1906 crude springing still on the front. The navigator will sit over the front axle perched out front in what has long been christened the ‘suicide seat’, or as the French said: ‘le tue belle-mère’. Brave navigator, Belgian Herman Gelan, an interior architect from Ghent, will be in that seat perched out front as Foucauld was all those years ago. Herman is an accomplished triathlon and marathon runner, a passion he shares with Anton. However, he is being thrown in at the deep end as this will be his first motor sport event, he is a total novice. 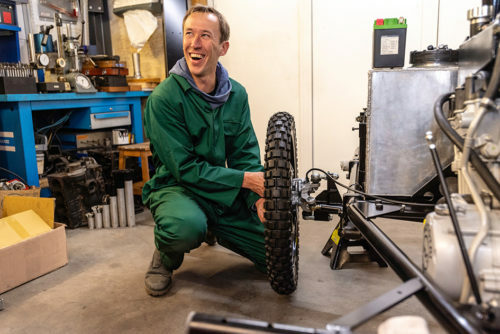 Anton Gonnissen will be behind him steering the trike from over the rear wheel for 36 days, 13,840 kms (8,600 miles) aiming to finish in Paris six weeks later. The only concession to comfort for the endurance rally specialist from Belgium is a Harley Davidson saddle in place of the original bottom crusher. Anton Gonnissen: “The story for Auguste Pons was a short one. Stranded without petrol early in the race they couldn’t be rescued by the other competitors as they were ahead of them. They ended up drinking the water out of the radiator, and then started their perilously long walk back to Peking in the heat. They nearly died and the Contal is still out there covered by sand somewhere. “Auguste Pons and navigator Oscar Foucauld were the only men not to eventually make it back to Paris, so we intend to lay that ghost to rest and exorcise their long lost spirits. Pons was certainly the bravest of the five competitors in the race, as he attempted the absolute impossible race. 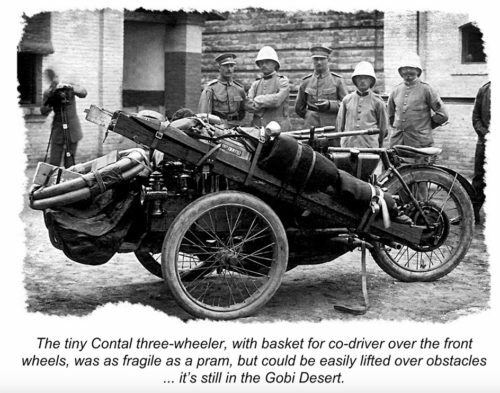 He lost everything in the Gobi Desert, even his 1906 driving licence was left in the trike when the Contal was abandoned. However, we did find his 1908 replacement document. “As it is one of the few original Mototri Contal, we have tried to keep as many original parts as possible which is why some components of the original trike will be in place. In some cases, we have simply had to beef up the chassis with the endurance rally and the finish in mind. *Testing of the Contal Mototri will begin in February. A further release with VT/ photos from the tests will be distributed in early March. Please kindly indicate if you would like to receive the material and follow the story as it unfolds. *Please also follow Anton Gonnissen’s blog here. *Notes to media. 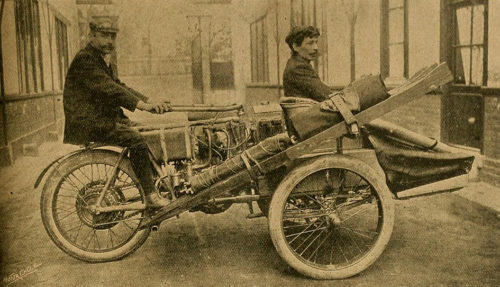 The Peking to Paris Motor Challenge goes back to the year 1907 when the French newspaper Le Matin challenged the European auto makers to show that modern cars could be more than just a novelty for the rich. They were challenged to drive from Beijing to Paris on a route with barely any roads. People thought the race was impossible and only five participating vehicles were registered: A Dutch Spyker, two French Dion Boutons, an Italian Itala and a three wheeled Mototri Contal with the bravest driver of them all, Auguste Pons.